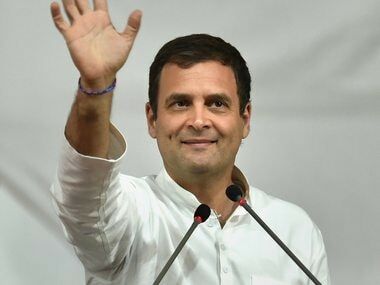 The tweet and the resolution were meant to tell people that Congress president Rahul Gandhi was taking into consideration the request from party workers for the Congress chief to contest from two seats — Amethi, perceived Gandhi family pocket borough in Uttar Pradesh, and Wayanad in Kerala. Their justification for this request was that since he is to become prime minister of the country towards the end of May 2019, he must be seen to be representing both north and south India. Little did Congress strategists and close advisers of Nehru-Gandhi family realise that in the age of social media, a premature announcement of this kind, howsoever well-planned and coordinated, could boomerang in a matter of hours. It turned out to be a full toss which Rahul's challenger in Amethi, Textiles Minister Smriti Irani, and BJP delightfully hit for a six. She tweeted in Hindi, saying Rahul was orchestrating an invite from various states because he had been rejected by the people of Amethi. On Saturday, #BhaagRahulBhaag was one of the top trends on Twitter. Contesting elections from two seats by some senior leaders across party lines is an age-old practice. It does not usually invite so much public debate. But Rahul’s case is different. One can say that Congress strategists erred with early publicity on the issue due to four reasons. 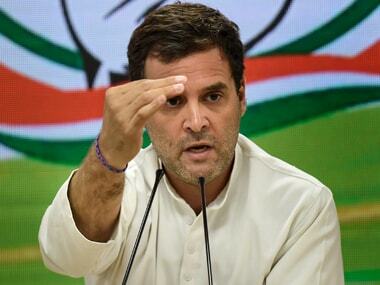 First, there is widespread public impression that this time around, Rahul Gandhi may find his going tough in Amethi. In the last parliamentary elections, Rahul's winning margin in 2014 had dipped to 1.07 lakh from 3.70 lakh in 2009. His voting percentage in 2014 had dipped as compared to 2004, when he had first contested from there. Irani, who was sent to Amethi at the last minute, had succeeded in narrowing down his victory margin and raising BJP's vote share from negligible thousands to over three lakh votes. This was considered unthinkable in Amethi, a constituency which has served as Gandhi-Nehru family’s backyard for the last 40 years, since the time Sanjay Gandhi first contested from there in 1980. Since then, Rajeev Gandhi won three times, Gandhi family nominee Satish Sharma held it once, and Sonia Gandhi once before she vacated it for Rahul by shifting herself to neighbouring Raebareli, a seat long held by Indira Gandhi. Rahul has won it three consecutive times. 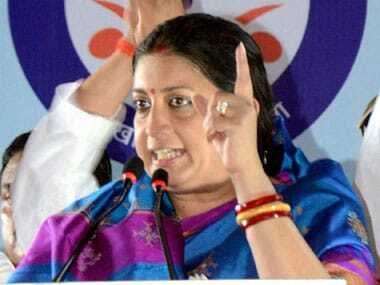 But for the last five years, Irani has made a determined bid to make defeat the Congress president on his home turf. Ground reports suggest that she was finding resonance with people, enough to cause some apprehension in the minds of the Congress leadership. Two other opponents who together secured over 82,000 anti-Rahul Gandhi votes — BSP’s Dharmendra Pratap Singh and Kumar Vishwas (then with AAP) — would be contesting these elections. Second, if Rahul does indeed decide to contest from Wayanad too, it will be an interesting choice. Wayanad would be a “safe” seat for him for the simple reason that it’s a constituency which has around 60 percent minority population – 43 percent Muslim and 17 percent Christian. The social composition is such that Congress has been winning comfortably. Party nominee MI Shanavas won it in 2009 and 2014 but this seat is presently vacant as Shanavas died in November 2018. It is a seat which Muslim League, second biggest constituent of UDF after Congress, has been demanding for a long time. If Rahul contests the election from Wayanad, he will naturally be supported by Muslim League against a fight where the principle opponent will be CPM-led Left Front, not BJP. The move will be much-desired fodder for BJP to shape up its poll narrative against Rahul and raise it to a higher pitch in public rallies. Congress' actions also come at a time when Rahul is trying to portray himself as a “janeudhari…Shiv-bhakt Hindu”. 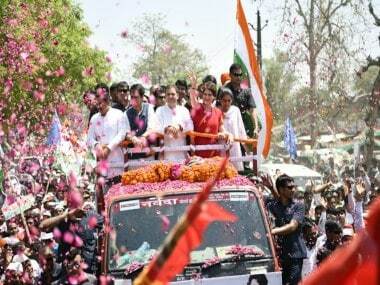 Even his sister Priyanka Gandhi Vadra, now general secretary of Congress, began her campaign in UP from Sangam in Allahabad to Varanasi and did her share of temple-hopping. She is expected to begin her second phase of campaigning from Ayodhya. Wayanad and its social composition (Muslim-Christian majority) could be used by BJP against this strategy. Third, by asking its Amethi district unit, which functions under direct supervision of Congress' first family, to issue a resolution, Congress made another mistake. A district unit making such a resolution is unprecedented. Moreover, adding that contesting from constituencies in north and south India was needed to show wider representation for a prime minister-in-making is naïve. The party leaders perhaps forget that Manmohan Singh, prime minister for 10 years of Congress-led UPA, was a Rajya Sabha MP from Assam. He or Congress never considered a Lok Sabha seat for him. Singh had contested parliamentary election from South Delhi once and had lost it badly. Fourth, the references of Indira and Sonia Gandhi in this regard is completely devoid of sense of history. The least that was expected from Congress was knowledge about their supreme leaders. Indira Gandhi had gone to Chikmaglur in Karnataka to contest a by-election in October 1978 after she had suffered ignominious defeat in Raebareli by Raj Narain in 1977. In 1975, she had imposed Emergency after Allahabad High Court ruled her election to Lok Sabha illegal. Instead of quitting, Indira Gandhi imposed Emergency in June 1975 and remained in power till 1977. Incidentally, the Chikmaglur by-election had happened in the immediate aftermath of a political blunder committed by Janata Party government, the arrest of Indira Gandhi in an alleged corruption case. Despite then prime minister Morarji Desai’s caution, the then home minister Charan Singh went for Indira’s arrest. Rest is history. Sonia Gandhi had gone to file her nomination from Bellary in Karnataka amid high drama and suspense in 1999 because the Congress leadership was apprehensive that the BJP may come up with some mischief in Raebareli on her maiden entry into electoral politics.